Total nonsense. For one thing, the milk carton I’m using right now is square. I should also mention that the article is dated June 2008 but I just stumbled upon it in a Wikipedia article on square milk jugs. Also, the shape and lid on the jug make it look somewhat industrial, and not like something I’d like to consume. I stumled upon this while doing a search for milk jug. Yes, they are changing the milk jug for among other things, carbon footprint reasons, but you should consider moving to milk sachets or bags as some might call them. Liquid Living has developed a new product that makes the use of sachets so easy without spilling a drop and the milk stays fresher longer. This will allow you to contribute to the environment by saving 75% plastic. The developed tap instantly seals with the wall of a sachet and the dispenser is very user friendly to put in your fridge or to even mount on a wall. No use crying over spilt milk! I want to comment that, I thought the new design was a cool idea, but after dealing with the inconvenience of them I thought maybe there could be a different design to the opening so that when you pour the milk, you get it where you want it instead of every where you didn’t want it. I’m sorry but those classes you hear about “how to pour your milk” what the hell is that, it doesn’t take a brain surgeon to figure out how to pour milk! I think this design is great for everyone involved in the transportation of the product but definitely not consumer friendly. 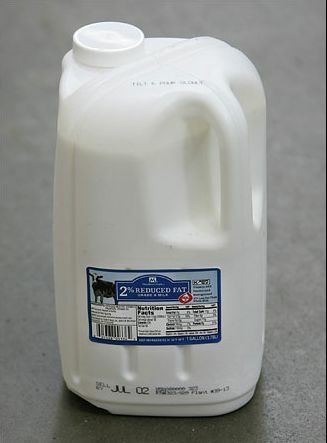 Redesign the milk jug so it’s user friendly for everyone! This country is so obsessed with going green that it becomes an inconvenience to the consumer, you can still be green and convenient! There is use in crying over spilt milk, have you seen how expensive it is! I have three boy’s and I have to buy 6 to 8 gallons a month!